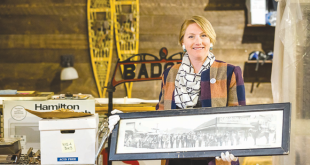 Barb Peters essentially grew up a Southern California girl in Manhattan Beach, which she fondly compares to the earlier eclectic days of Crested Butte. “It used to be just like Crested Butte, run-down with a lot of characters. There were hippies, beach bums, and surfers, beachcomber homes and VWs. Now it’s gentrified,” she says. But during those childhood years, Barb spent her time practically living at the beach, swimming and surfing and engaging in the era’s hip fashion and music. She qualified to become a junior lifeguard at only eight years old. Barb quickly fell into the Crested Butte kid lifestyle of freedom and fun, as her mom signed her up for the Ski Club junior racers. In fact, later, in the winter of 1991 that saw the Extremes competition come to town, Barb signed up to participate and competed for the next decade. “In 1999, I was World Tour Champ in points.” She continued to place throughout her 10 years competing. “What didn’t we do as kids here?” Barb grins. 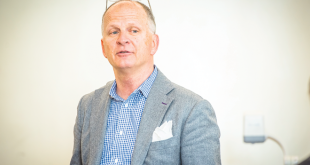 “We had to be outside because we weren’t allowed to stay inside. We just had to come home when the street-lights came on. We’d build snow caves in the winter and when I was ten, I started working at Fantasy Ranch, the horse stables that were out by Skyland back then, up Brush Creek. I would help clean the hooves, brush the horses, and go get the horses for guest rides. As we got older I was able to guide half-day or quarter-day trips.” Barb worked there until she was 12. At 19, in 1990, Barb became a raft guide during the short two-month season on Arizona’s Upper Salt River. “They are the early season in March and April and by the time our snow melts up here, our commercial rafting season starts on the Arkansas River in Canon City.” This is where she guided every summer. 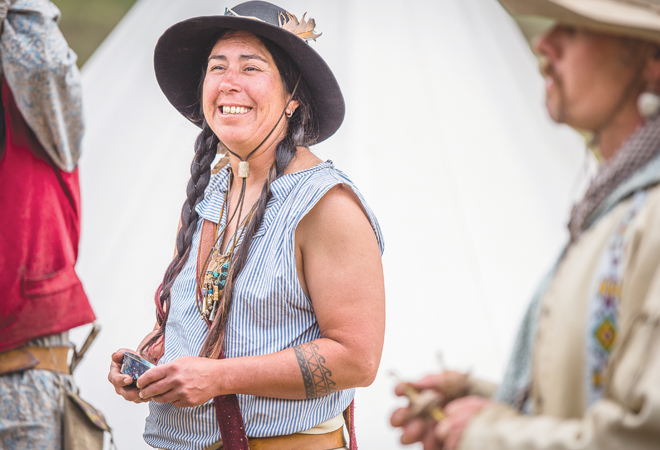 For the past few years, Barb has been running the Mountain Man Rendezvous, the raunchy, raucous, historical reenactment of the Wild West’s fur trapping days held yearly up Washington Gulch during the first weekend of August. She enrolled at the Cooking School of the Rockies. She had been working in kitchens throughout her life and felt that culinary school was the next logical choice, because, “I could make money doing what I loved. I had to unlearn everything I learned in Crested Butte kitchens. I finished my education at the Greenbriar Inn in Boulder,” she says of a swanky restaurant at the mouth of Lefthand Canyon. She returned to Crested Butte with her husband and was pregnant with her son, Hawk. Barb then discovered that she loved landscaping and went to work for Colorado Native Gardening. “I was outdoors and I got paid more than if I was cooking,” although she admits that in the future she’d like to return to the culinary arts. This summer Barb plans to enjoy the many Rendezvous meets across Colorado. “The Rocky Mountain Nationals will be outside of Gunnison this year in July with 800 camps and 1,000 people in historic dress from all over the United States. Mountain Man Rendezvous will still be up Washington Gulch during Art Festival weekend. It’s been on this site for 34 years but the modern world is encroaching with their Spandex and those sparkly ball caps… and black powder and leather fringe collide with perfume and sequins and don’t mix,” she justifiably smirks. “Hawk has been going to Rendezvous since he was a baby and now we have a teepee.” She took over the Crested Butte event four years ago. 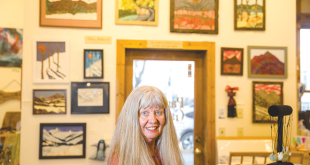 When she and her hubby parted ways, Barb decided to stay in Crested Butte because she realized, “This is where I grew up. This is where my community is. And I have a place to live,” she says of the foresight of being able to purchase a condo back in the 1990s when real estate was more affordable for locals.